The Games on Demand version supports English, French, Italian, German, Spanish, Russian, Japanese, Korean. Download the manual for this game by locating the game on http://marketplace.xbox.com and selecting “See Game Manual". WE ARE TEKKEN! Join the world's greatest fighters to swap blows in action-packed battles! Choose from a massive cast of characters and unleash your most vicious combos to claim ultimate victory! Choose from 134 tracks, taken from the first TEKKEN, TEKKEN 2, TEKKEN 3, and TEKKEN TAG, to customize your symphonic experience! All tracks are available through the in-game TEKKEN TUNES mode. 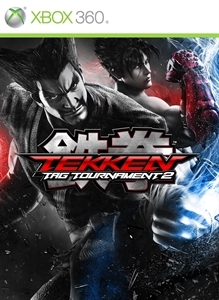 *This downloadable content includes the same data as TTT2 Bonus Tracks (TEKKEN), TTT2 Bonus Tracks (TEKKEN 2), TTT2 Bonus Tracks (TEKKEN 3), and TTT2 Bonus Tracks (TEKKEN TAG). Please be careful not to purchase the same bonus tracks. A collection of movies taken from the first TEKKEN! Check them out any time you like through the in-game GALLERY mode. *This downloadable content includes the same data as the TEKKEN bonus movies that are in TEKKEN TAG 2 Bonus Movies Pack A. Please be careful not to purchase the same bonus movies. A collection of movies taken from TEKKEN 5! Check them out any time you like through the in-game GALLERY mode. *This downloadable content includes the same data as the TEKKEN 5 bonus movies that are in TEKKEN TAG 2 Bonus Movies Pack B. Please be careful not to purchase the same bonus movies. 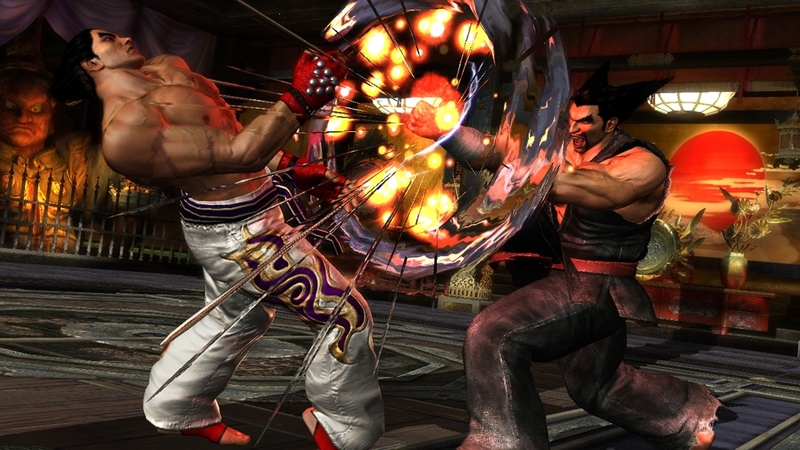 Choose from 37 tracks, taken from the first TEKKEN TAG, to customize your symphonic experience! All tracks are available through the in-game TEKKEN TUNES mode. *This downloadable content includes the same data as the TEKKEN TAG bonus tracks that are in TEKKEN TAG 2 Bonus Tracks Pack A. Please be careful not to purchase the same bonus tracks. Choose from 20 tracks, taken from TEKKEN 4, to customize your symphonic experience! All tracks are available through the in-game TEKKEN TUNES mode. *This downloadable content includes the same data as the TEKKEN 4 bonus tracks that are in TEKKEN TAG 2 Bonus Tracks Pack B. Please be careful not to purchase the same bonus tracks. Choose from 108 tracks, taken from TEKKEN 4, TEKKEN 5 and TEKKEN 6, to customize your symphonic experience! All tracks are available through the in-game TEKKEN TUNES mode. *This downloadable content includes the same data as TTT2 Bonus Tracks (TEKKEN 4), TTT2 Bonus Tracks (TEKKEN 5), and TTT2 Bonus Tracks (TEKKEN 6). Please be careful not to purchase the same bonus tracks. A collection of movies taken from TEKKEN 3! Check them out any time you like through the in-game GALLERY mode. *This downloadable content includes the same data as the TEKKEN 3 bonus movies that are in TEKKEN TAG 2 Bonus Movies Pack A. Please be careful not to purchase the same bonus movies. A collection of movies taken from TEKKEN 4, TEKKEN 5, and TEKKEN 6! Check them out any time you like through the in-game GALLERY mode. 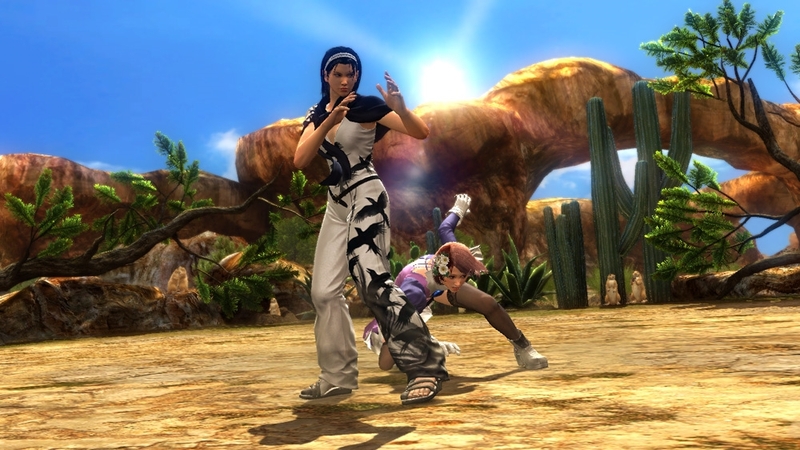 *This downloadable content includes the same data as TTT2 Bonus Movies (TEKKEN 4), TTT2 Bonus Movies (TEKKEN 5), and TTT2 Bonus Movies (TEKKEN 6). Please be careful not to purchase the same bonus movies. A collection of movies taken from TEKKEN 6! Check them out any time you like through the in-game GALLERY mode. *This downloadable content includes the same data as the TEKKEN 6 bonus movies that are in TEKKEN TAG 2 Bonus Movies Pack B. Please be careful not to purchase the same bonus movies. A collection of movies taken from the first TEKKEN TAG! Check them out any time you like through the in-game GALLERY mode. *This downloadable content includes the same data as the TEKKEN TAG bonus movies that are in TEKKEN TAG 2 Bonus Movies Pack A. Please be careful not to purchase the same bonus movies. A collection of movies taken from TEKKEN 4! Check them out any time you like through the in-game GALLERY mode. *This downloadable content includes the same data as the TEKKEN 4 bonus movies that are in TEKKEN TAG 2 Bonus Movies Pack B. Please be careful not to purchase the same bonus movies. A collection of movies taken from the first TEKKEN, TEKKEN 2, TEKKEN 3, and TEKKEN TAG! Check them out any time you like through the in-game GALLERY mode. 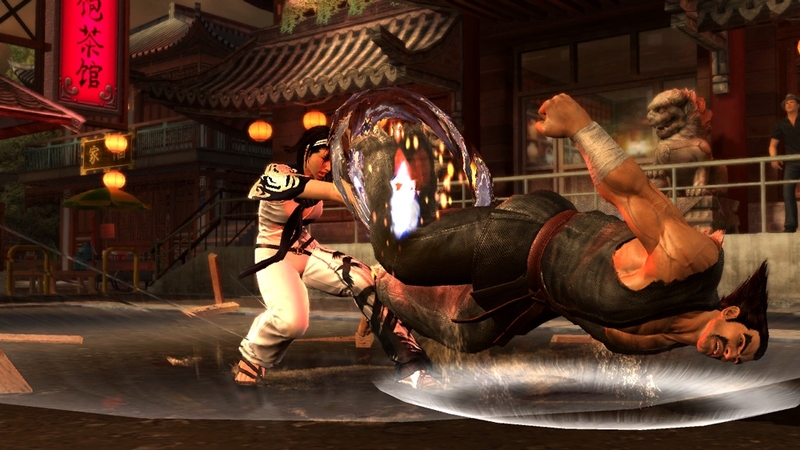 *This downloadable content includes the same data as TTT2 Bonus Movies (TEKKEN), TTT2 Bonus Movies (TEKKEN 2), TTT2 Bonus Movies (TEKKEN 3), and TTT2 Bonus Movies (TEKKEN TAG). Please be careful not to purchase the same bonus movies. 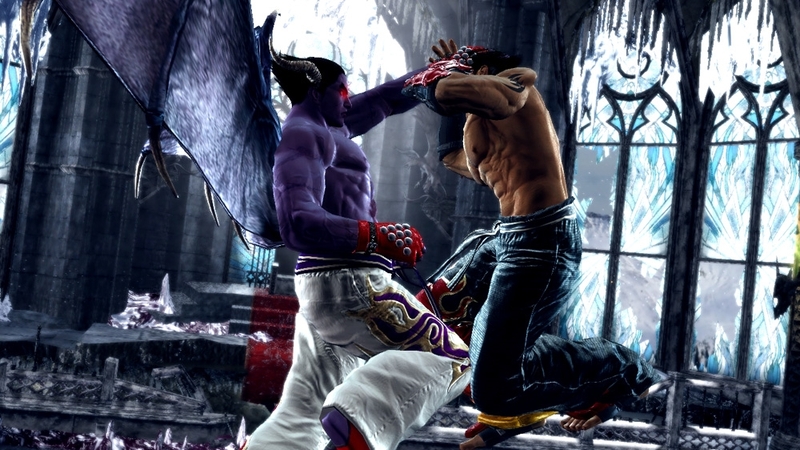 Choose from 41 tracks, taken from TEKKEN 6, to customize your symphonic experience! All tracks are available through the in-game TEKKEN TUNES mode. *This downloadable content includes the same data as the TEKKEN 6 bonus tracks that are in TEKKEN TAG 2 Bonus Tracks Pack B. Please be careful not to purchase the same bonus tracks. A collection of movies taken from TEKKEN 2! Check them out any time you like through the GALLERY mode. *This downloadable content includes the same data as the TEKKEN 2 bonus movies that are in TEKKEN TAG 2 Bonus Movies Pack A. Please be careful not to purchase the same bonus movies. 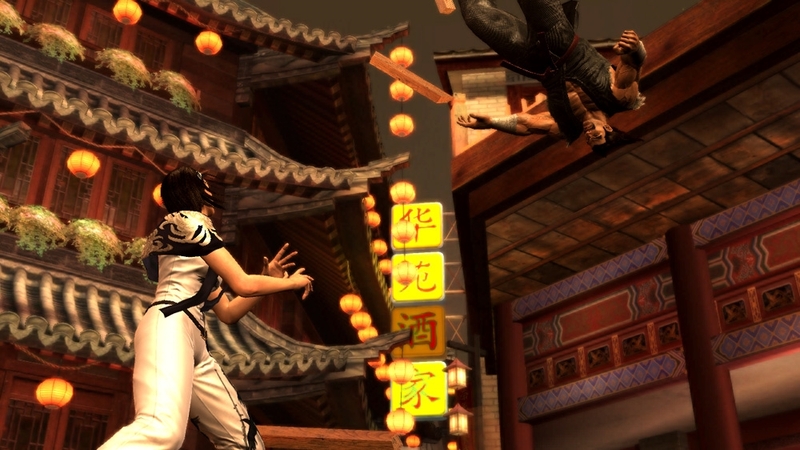 Choose from 47 tracks, taken from TEKKEN 5, to customize your symphonic experience! All tracks are available through the in-game TEKKEN TUNES mode. *This downloadable content includes the same data as the TEKKEN 5 bonus tracks that are in TEKKEN TAG 2 Bonus Tracks Pack B. Please be careful not to purchase the same bonus tracks. Choose from 30 tracks, taken from TEKKEN 2, to customize your symphonic experience! All tracks are available through the in-game TEKKEN TUNES mode. *This downloadable content includes the same data as the TEKKEN 2 bonus tracks that are in TEKKEN TAG 2 Bonus Tracks Pack A. Please be careful not to purchase the same bonus tracks. Choose from 40 tracks, taken from TEKKEN 3, to customize your symphonic experience! All tracks are available through the in-game TEKKEN TUNES mode. *This downloadable content includes the same data as the TEKKEN 3 bonus tracks that are in TEKKEN TAG 2 Bonus Tracks Pack A. Please be careful not to purchase the same bonus tracks. 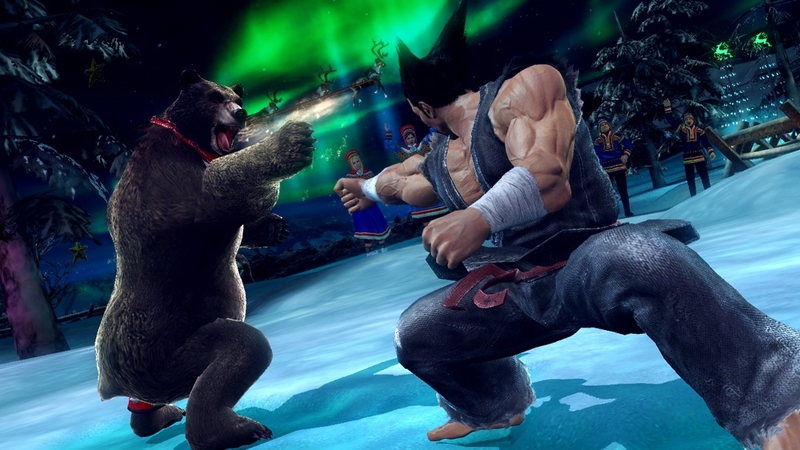 Choose from 27 tracks, taken from the first TEKKEN, to customize your symphonic experience! All tracks are available through the in-game TEKKEN TUNES mode. *This downloadable content includes the same data as the TEKKEN bonus tracks that are in TEKKEN TAG 2 Bonus Tracks Pack A. Please be careful not to purchase the same bonus tracks. Get ready for the next battle! Transform your avatar into your favorite character from Tekken with this official Lili costume! Get ready for the next battle! Transform your avatar into your favorite character from Tekken with this official Raven costume! Get ready for the next battle! Transform your avatar into your favorite character from Tekken with this official Yoshimitsu costume! Get ready for the next battle! Transform your avatar into your favorite character from Tekken with this official Kazuya costume! Get ready for the next battle! Transform your avatar into your favorite character from Tekken with this official Lei Wulong animation! Get ready for the next battle! Transform your avatar into your favorite character from Tekken And start flying with this official Devil Jin animation! Get ready for the next battle! Transform your avatar into your favorite character from Tekken with this official Lars costume! Get ready for the next battle! Transform your avatar into your favorite character from Tekken with this official Heihachi Hair Helmet! Get ready for the next battle! Transform your avatar into your favorite character from Tekken with this official Alisa costume! Get ready for the next battle! Transform your avatar into your favorite character from Tekken with this official Armor King costume! Get ready for the next battle! Bring your Xbox to life with the energy of the Arena with this official Tekken Premium theme.